I have a new obsession. These are AMAZING. 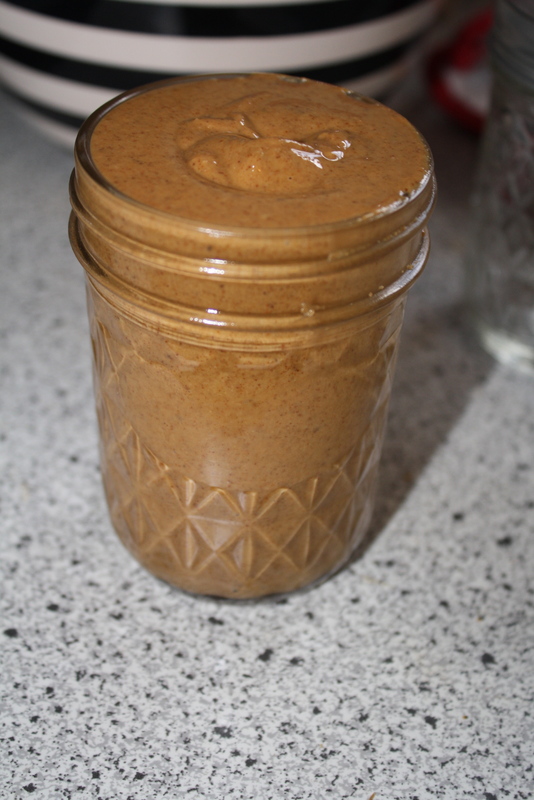 These homemade almond butters were the first things that I made with my food processor that I got for Christmas. I bought a huge bag of almonds from Sam’s Club and immediately began making these when I got home. I couldn’t believe how easy they were to make and how delicious they were! I made a set for me and a set for my mom (that’s why some of them have ribbons on them). 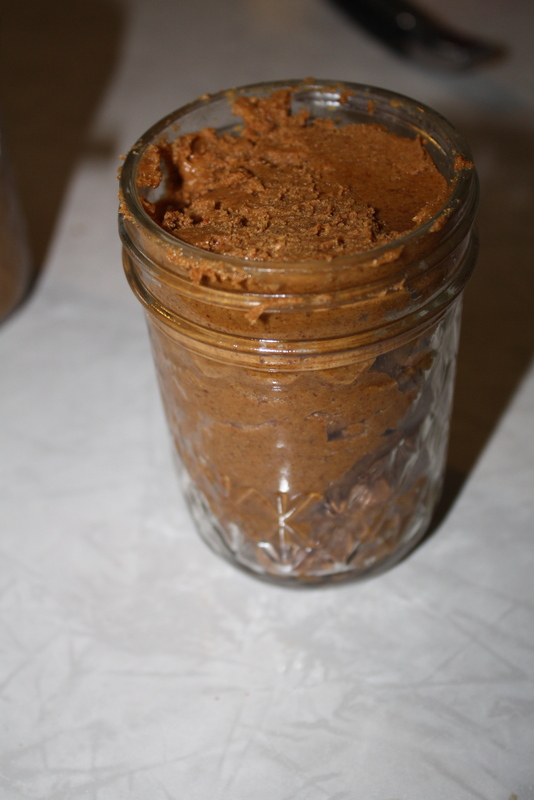 These butters are great spread on crackers, celery, fruit, or sandwiches…anywhere you would use peanut butter. But, let’s be real, I ate most of mine straight from the jar with a spoon. They both had very different consistencies, but I loved them both. In fact, I just polished off the last of the cinnamon raisin variety a little bit ago. 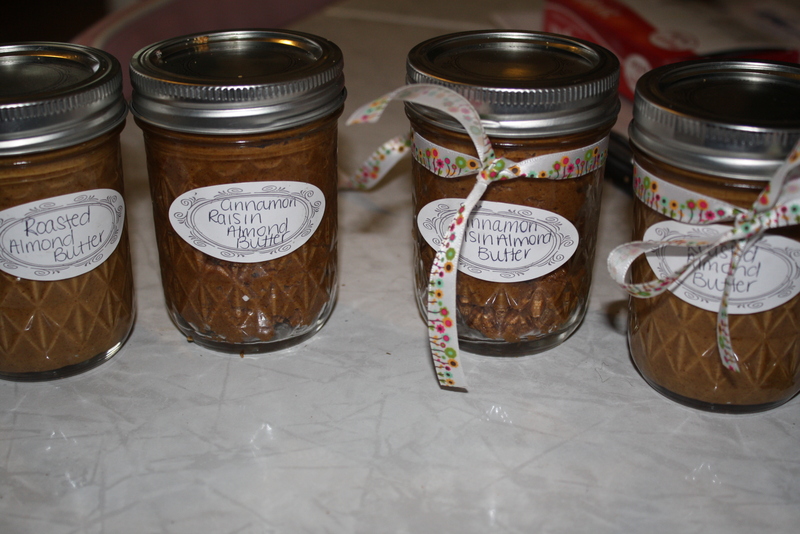 The roasted almond butter was more thin and oily while the cinnamon raisin was more thick and grainy. If I had to pick a favorite, it would be the roasted kind, but that’s only if I HAD to pick! Preheat oven to 350 degrees. Place 2 cups of raw almonds in single layer on baking sheet. Roast in oven for 13-15 minutes or until golden brown and you can smell them. After cooling, pour into food processor. Pulse into small chunks. Turn on full speed for 7-10 minutes, checking after 7 for consistency. Scrape down the sides with a rubber spatula every couple of minutes. For creamier, oilier butter, keep going to 10 minutes or even a couple more. 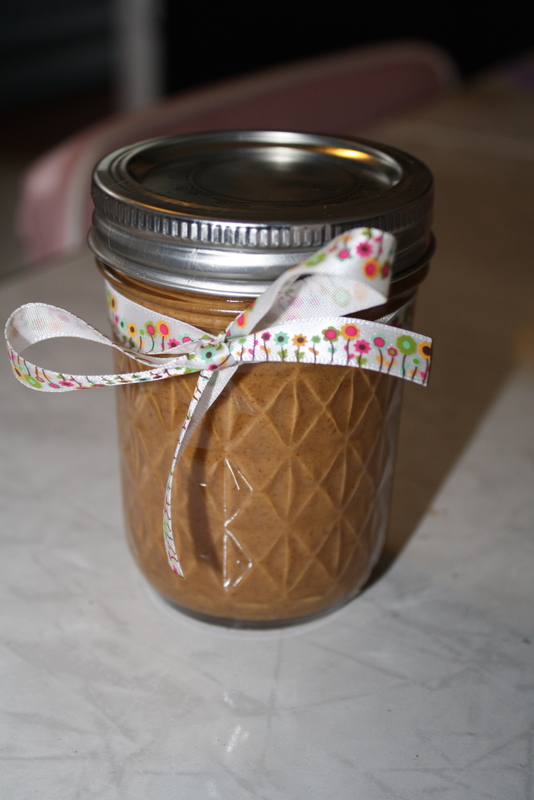 Store in jars or plastic container. Will store out of the refrigerator for 1 week, 3 months in the refrigerator and 6 months in the freezer. Preheat oven to 350 degrees. Spread almonds in a single layer and bake for 13-15 minutes. Cool for 20 minutes or so. Place roasted almonds in a food processor and process for 10 minutes, occasionally scraping down the sides. Add remaining ingredients and begin to process again. Process until smooth, occasionally scraping down the sides, about 3-5 more minutes. Sounds fantastic! Love this idea! What a fabulous idea. I wonder how long this can keep? Do you store in the fridge or room temperature? They will keep for a couple of months in the fridge but only for about a week at room temperature. I kept mine in the fridge. go for it 🙂 Glad you like the idea!